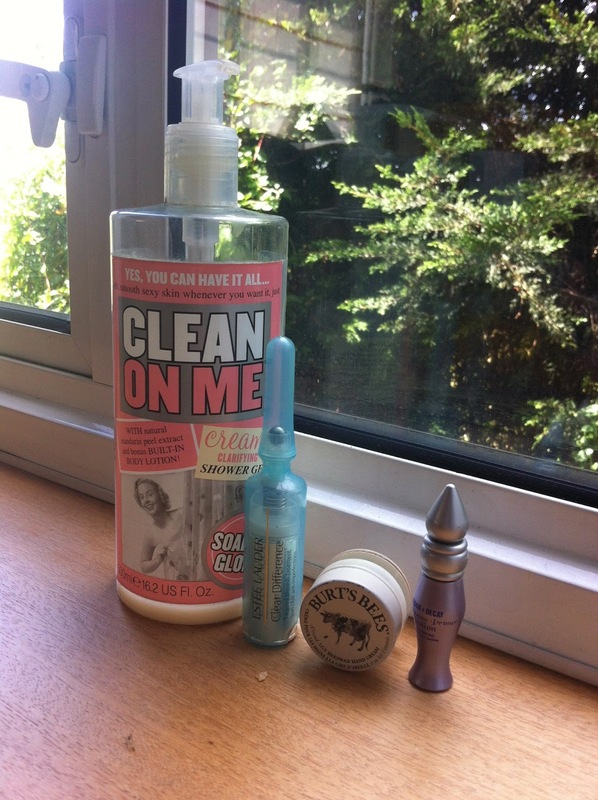 To help me keep track of the products I'm using up, I'm starting a new empties series. I've seen these types of posts on quite a few other blogs and they always seem like a good way to do quick reviews of products and keep track of what I've been using and loving - or not, as the case may be. So here are my empties for June! I blogged about this a couple of weeks ago but to recap, it's a creamy shower gel with a soft, slightly floral scent. Whilst it lathers up really nicely and the bottle is huge so it lasts for ages, I'd recommend that you use a body lotion with it, especially if your skin is dry. Love the packaging too - I'm a sucker for Soap & Glory's mix of vintage photographs and ridiculous puns. I was very kindly sent this by the Guardian's wonderful beauty writer Sali Hughes after meeting her at an event last month and it worked so well for clearing up my spots - I haven't bought anything to replace it since it ran out and I'm definitely noticing a difference in terms of how long my spots take to clear up. It feels really cooling on the skin and I like the rollerball as well. That said it did dry my skin out a little and I ran out of it within about a month. Plus it's a bit on the expensive side so I'm going to try some other products so will decided whether to go back to it. I will be reviewing this in full soon alongside the Clear Difference serum so make sure you keep an eye out for that post! This was in a kit Nick's sister bought me as a present a few years ago but I've only just got round to finishing it. It's a very solid feeling glass jar which adds a lovely sense of luxury to the product, and the smell is amazing - if you like marzipan-type smells then you will love this. However it is quite thick and takes a little while to sink in so I'd suggest it's probably better as a night-time hand cream rather than for your work bag or by the sink. This is the classic eyeshadow primer that everyone raves about, and I'm also a fan! I got this with my original Naked palette (long story short: bought it, barely used it, sold it when I went backpacking, missed it so much I asked for it for Christmas last year) and it has been really good. I use it every day for my work make-up and my eyeshadow definitely stays on for longer when I use it. There are other eyeshadow primers I want to try but I have another Urban Decay one in this size which I got with my current Naked palette so will use that first. What's your favourite product that you've used up this month? Thanks Claire! The S&G shower gel does last for ever - I started mine in September and it was only just completely finished this morning. Proof that buying in bulk is definitely the way to save on certain products I think!